Origin: Canyon slopes of West Texas, New Mexico and eastern Arizona at elevations of 2000 to 5000 feet. Form & Character: Large, evergreen xeric shrub, calescent, agave like, rounded, rigid. Growth Habit: Upright, very slow, non-clumping to 7 feet with a strong trunk. 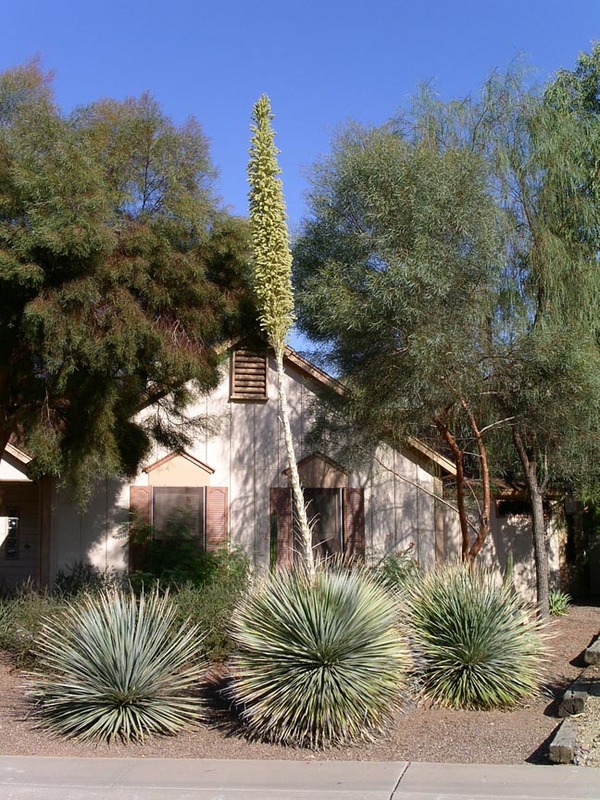 Flower spikes extend upwards to 15 feet in height. Foliage/texture: Long, gray, twisting, strap like leaves with prominent marginal spines, leaf sheath is in the form of spoon that was once used by ntive Americans as such; medium coarse texture. 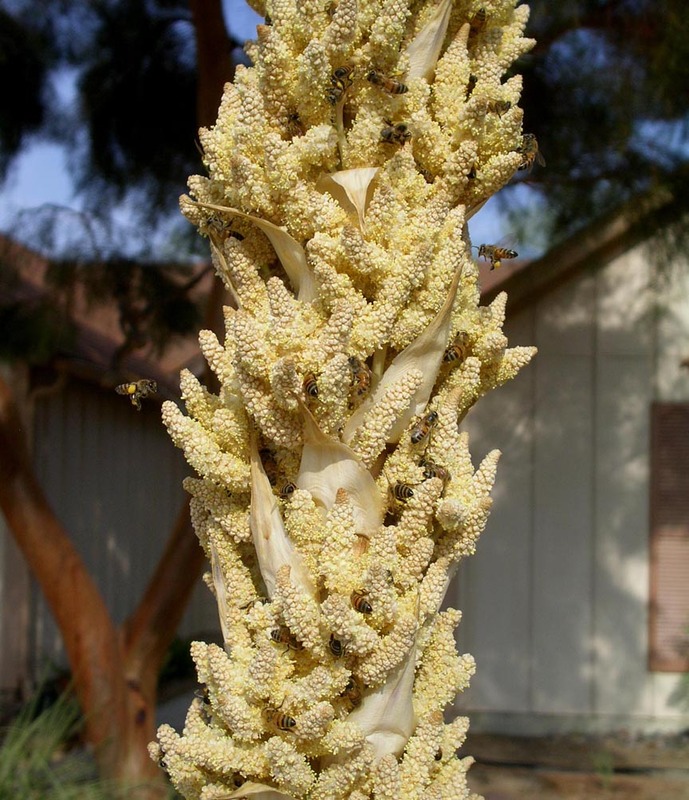 Flowers & fruits: Dioecious, cream-colored flowers, plume-like, on 10 to 15 feet stalk, plants will only flower after the 7 to 10 years and then will not flower every year thereafter. Flowering also results in cessation of terminal meristem and induction of usually a single upper lateral meristem. 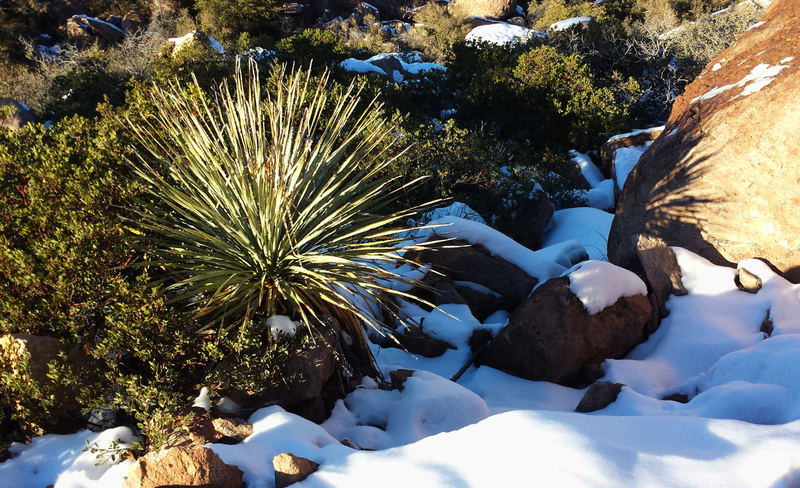 Unlike many agaves, desert spoon doesn't die after flowering. Flowers strongly attract bees. Seasonal color: Flowers stalks in later spring to summer during thoses rare years that desert spoon blooms. Temperature: Tolerant, some heat stress above 110oF. 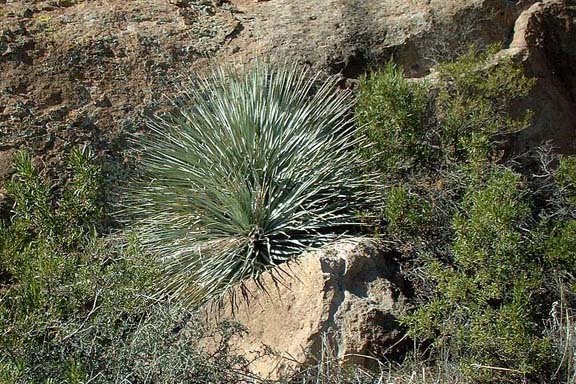 Watering: Somewhat drought tolerant, some watering during the summer is needed if sotol is planted in the lower desert urban landscapes, otherwise none. Its best to irrigate sparingly if at all during the winter. In the lower desert, sotol will typically show significant leaf marginal tip necrosis. Pruning: Sotol plants do not naturally shed their leaves which are persistent and form a "skirt" much like Washingtonia robusta. 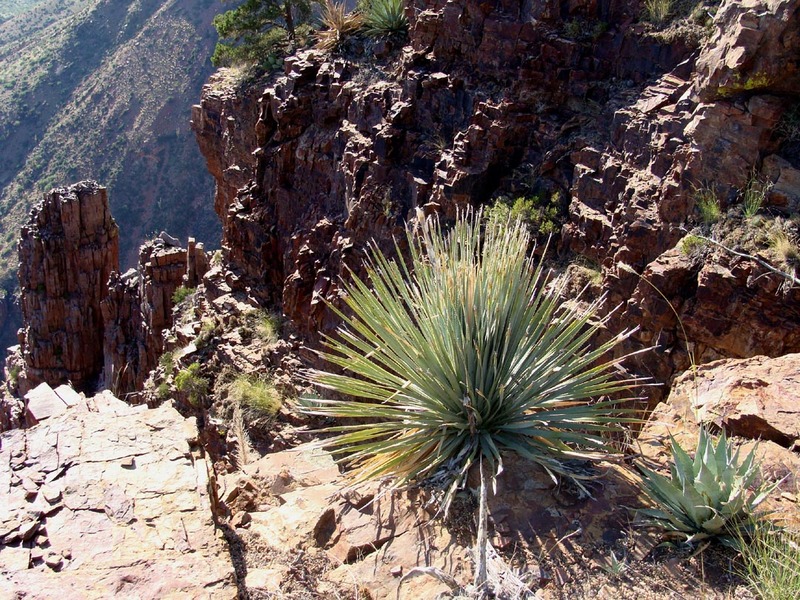 With that in mind, the only pruning that a sotol ever needs is the removal of senescent leaves. Please, do not shear! 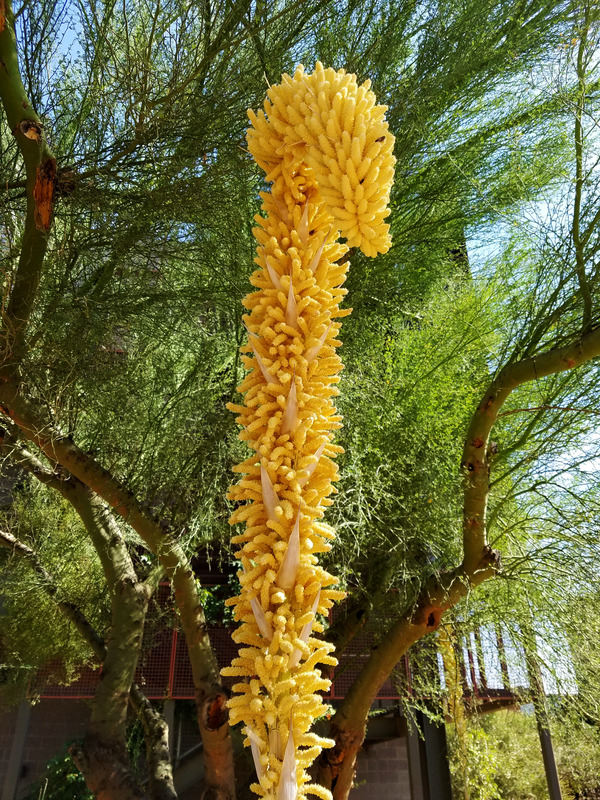 Some landscape maintenance companies around the Phoenix area have tried this with the result being a ridiculous looking plant looking like Alfalfa of the Little Rascals since sotol has a single apical meristem. Another favorite pruning ploy is to create the 'pineapple look' by 'skinning' older leaves to the trunk much like is done when pruning local palms - the result is a landscape that has the look and feel of the Sunday morning comics! Propagation: Usually propagated sexually by seed but germination and establishment are slow. 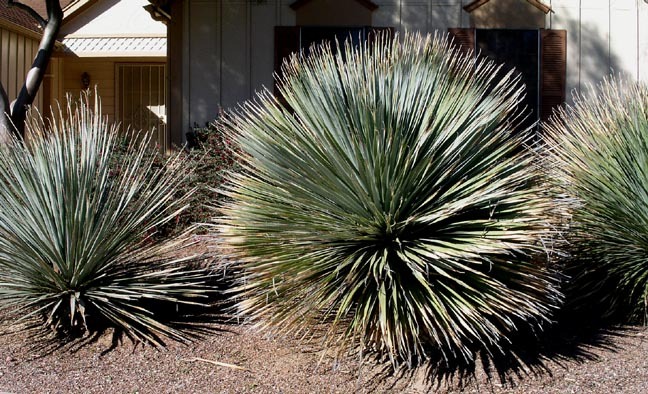 Additional comments: Sotol (and it's Dasylirion cousins) is a plant that is frequently misused by landscape architects (LA) in the Phoenix area, arranged in plantings too close together or with limited space in which to grow and spread naturally. And so what does this indicate? It's clear. LAs generally don't know their plants! 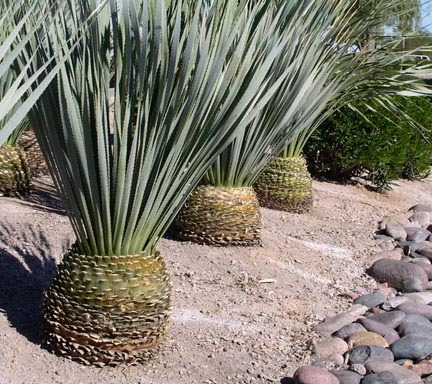 If you're an LA and are reading this then note this.....sotol may look architectually cute in a 5-gallon nursery container, but as a mature specimen in the landscape it is HUGE! So design accordingly. Leaves were used by Native Americans for thatching and baskets. An alcoholic beverage is extracted from trunk called 'sotol'. Dasylirion acrotrichum (green sotol) is a 'green-leaf' species of sotol which gives a slightly different accent effect. Dasylirion quadrangulatum (Mexican grass tree) has stiff, narrow green leaves with smooth margins, more fine textured and wide spreading than others.